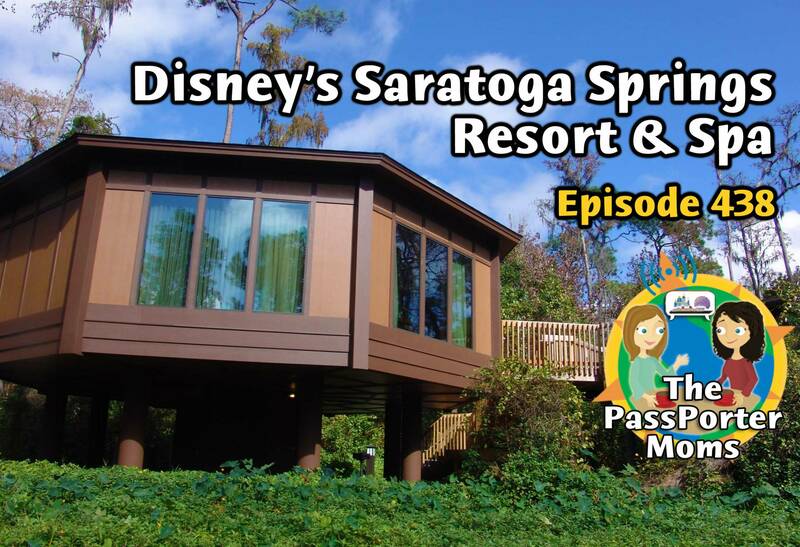 This week Jennifer and Sara are continuing their series on Walt Disney World Resorts with Disney's Saratoga Springs Resort and Spa! Why do we love this Deluxe Villa option? Plus Disney news, listener celebrations, and more! Bonnie writes: "My husband just turned 50. My youngest is graduating from 8th grade. My twins are graduating from high school, and I just graduated from college! We are taking a Dad and Grad celebration trip from June 8th to the 13th. Each person gets their own day. On their day, they pick the theme park and what we do there, and where we eat. My twins both chose Universal Studios, so we are heading there first for two days, then three days at Disneyland with a scheduled rest day in between. Usually I am the planner of the group, so it is going to be an interesting experiment in me releasing control. A 50 year old and 4 graduates. I’m so excited!" Sabrina writes: "Hello Jennifer and Sara! I always plan to send in my celebration(s) and ALWAYS forget. (Story of my life lol) I know this is not for awhile now, but here is my celebration for June 2nd 2018: When my Husband and I were planning our wedding in 2011, I asked him where he wanted to go for our Honeymoon. He responded that he would leave it up to me, since I had not traveled to as many places as he had. So off to the local library I go to look at books on locations. This is where I found my first Passporter book that someone had donated to the library. After devouring the book from cover to cover a few times over, I approach my soon to be Husband and ask him, "Did you know that Disney World is the number one Honeymoon destination in the World?". He said, "We can go there, I've never been". I was SHOCKED. So of course I bought my own current Passporter book of my own and started planning our Honeymoon to Disney World. Cut to the week after our wedding in June 2012 - we arrive in Disney World and spend our first day in the parks. As we were riding the bus back to our Resort (French Quarter) sitting in silence for a moment, I was freaking out in my mind that I had made a bad decision and maybe my Husband was not having as much fun as I thought he would. Before I can open my mouth - my Husband turns to me and says all in one breath, "THIS IS AWESOME WE HAVE TO COME BACK AGAIN NEXT YEAR AND WE SHOULD STAY AT THIS RESORT AND DO THIS AND......." I was over the moon and so happy that we had made the right decision. Since then I have donated all my past Passporter books to my local library in the hopes that they just might change someone else's life, like they have mine and my Husband's. We of course have been back since our honeymoon and have even taken a Disney cruise. I just want to say Happy Anniversary to my Husband Scott - the Mickey to my Minnie. And to tell you ladies how much I love listening to your podcast each week. Also - shout out to Jennifer - my Husband and I are fellow Michigander's!!!!! Thank you so much!"